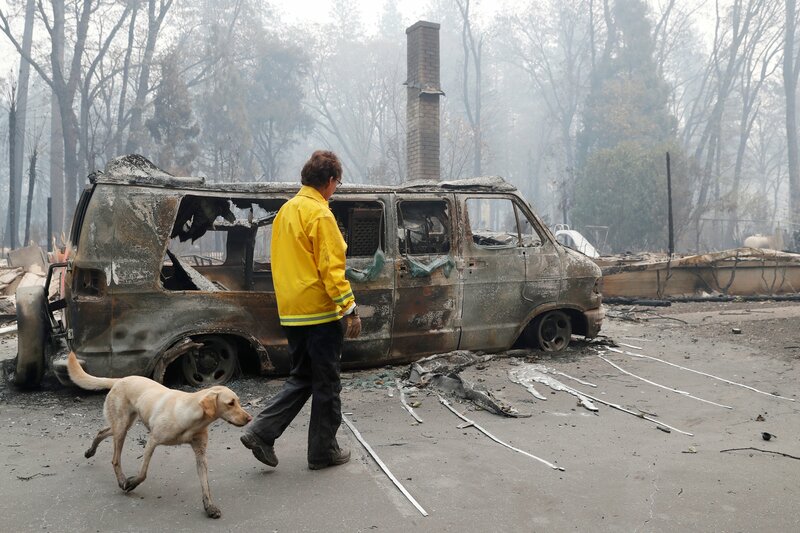 The Camp Fire torched roughly 150,000 acres north of Sacramento in November. It killed at least 86 people and is California’s deadliest wildfire on record, according to California’s state fire agency. The fire destroyed nearly 19,000 structures. The cause of the fire is still under investigation, but early reports suggest the disaster began with a broken PG&E transmission line. PG&E has acknowledged that its equipment may have started the Camp Fire, and U.S. District Judge William Alsup ordered the utility on Nov. 27 to investigate whether its equipment was responsible. The insurance costs of damage done by the Camp and Woolsey Fires, which burned in California at roughly the same time, are estimated to range around $8.6 billion, according to the financial services company CoreLogic. California investigators found that PG&E equipment caused 12 of 15 major wildfires that hit the state in 2017. Environmentalists blame increasing temperatures from climate change for the fires while President Donald Trump and Republicans call for better land management to reduce the risk of disaster. In addition to PG&E, Brown has taken heat for vetoing a 2016 bill that aimed at mitigating risk from utilities sparking wildfires. ← Forget Marble Bar, Oodnadatta, doesn’t the BOM know the hottest day ever was in Albany?